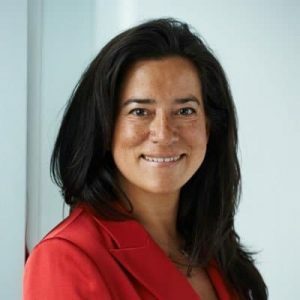 JODY Wilson-Raybould, the former justice minister, tweeted on Tuesday that she has resigned from cabinet. The MP for Vancouver-Granville, who was Minister of Veterans Affairs and Associate Minister of National Defence, tweeted a link to her resignation letter. She has been under tremendous pressure to give her version regarding a Globe and Mail report that she had been pressured by the Prime Minister’s Office to help Quebec-based engineering firm SNC-Lavalin avoid criminal prosecution. CBC reports that a spokesperson for Prime Minister Justin Trudeau said Wilson-Raybould tendered her resignation when she and Trudeau spoke last night. Trudeau informed the rest of his cabinet in a meeting this morning. MEANWHILE, Conservative Leader Andrew Scheer called on Trudeau to preserve all documents relating to the ongoing SNC-Lavalin Affair after Wilson-Raybould’s resignation. In a letter to Trudeau, Scheer called on him to ensure all documents including “memos, letters, emails, pins, SMS messages, and handwritten notes” pertaining to the prosecution of SNC-Lavalin be preserved amidst the pending cabinet shuffle to replace Wilson-Raybould. The request applies to records held by Wilson-Raybould, Attorney General David Lametti, and senior Prime Minister’s Office officials including, but not limited to, Katie Telford, Gerald Butts, Mathieu Bouchard, and Elder Marques. Scheer also said Wilson-Raybould’s resignation is a sign of a government in disarray. ALSO, Canada’s Ethics Commissioner Mario Dion is investigating into allegations that the Ptrime Minister’s Office pressured Wilson-Raybould to help SNC-Lavalin avoid criminal prosecution. “We demand that you immediately and categorically publicly condemn the racist and sexist innuendo about Minister Jody Wilson-Raybould that is being spread by unnamed elected officials and staff of your government in media reports. “These disingenuous statements are cowardly, low blows aimed at discrediting the staunch work ethic Minister Wilson-Raybould has maintained. They perpetuate colonial-era, sexist stereotypes that Indigenous women cannot be powerful, forthright, and steadfast in positions of power, but rather confrontational, meddling and egotistic. These comments from your staff must be recognized for what they are – blatant sexism. “Hopefully, Canadians will also see the negative conduct and discriminatory rhetoric for what it is: an attempt to save face and initiate damage control about the purported wrongdoings of your office by attacking and discrediting a prominent Indigenous woman and leader. This is not the first time you and your government has conducted itself in a disapprobative and inappropriate manner. Kukpi7 Judy Wilson still awaits your apology, as requested by the UBCIC Executive in December 2018, after your dismissive and patronizing conduct and comments towards her at the Assembly of First Nations meeting in Ottawa. The letter was signed by Grand Chief Stewart Phillip (President), Chief Robert Chamberlin (Vice President) and Kukpi7 Judy Wilson (Secretary-Treasurer).